African American player in Major League Baseball’s modern era. the establishment of African American Capital Enterprises, LLC (A.C.C.E., LCC). National Underground Railroad Freedom Center brand champion, Jesse Kramer. issues regarding race and inclusion in professional sports,” says Dr. Clarence G.
Newsome, President of the National Underground Railroad Freedom Center. 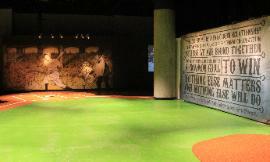 Diversity in Baseball is included with general admission to the Freedom Center. 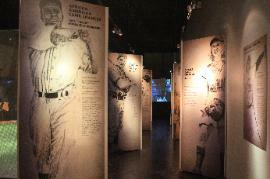 Learn more about Diversity in Baseball at freedomcenter.org . 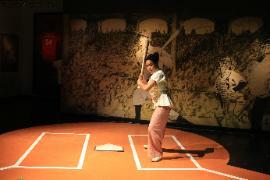 the Cincinnati Museum Center to get insight on the Cincinnati Reds.